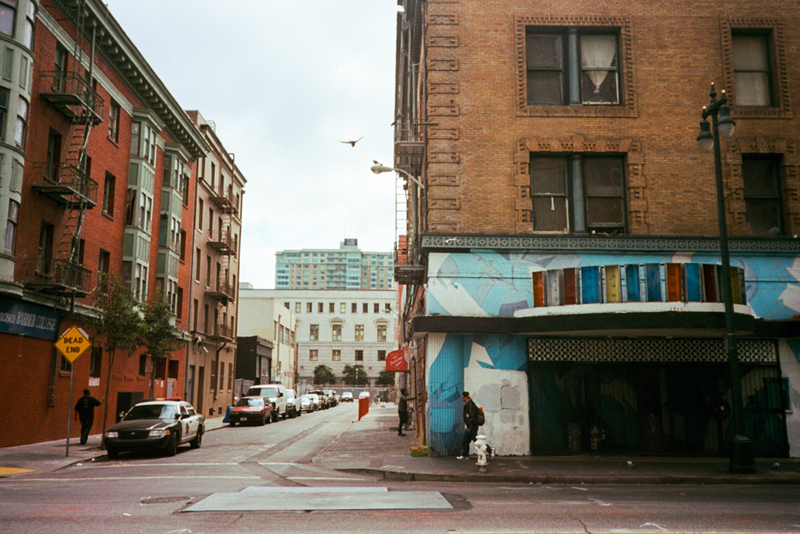 6th Street, San Francisco. Mid-Market at mid-afternoon. Cop cars and graffiti artists. Dead end.